Heatstroke can occur if a dog is left in a car in hot weather or left outside without a shady area and water in hot weather. This requires immediate veterinary attention. If you have to take your dog outdoors in hot weather, be sure to take along enough water to prevent heatstroke. If you are exercising your dog, build up to it slowly and make sure not to overexert him/her. Try to walk your dog early in the morning and in the evening after the sun goes down, when temperatures are lower. Be careful of hot pavements that can burn paws. Early signs of heat exhaustion include heavy panting, hyperventilation (deep breathing), increased salivation. As the heat prostration progresses, signs are dry gums, weakness, confusion or inattention, vomiting or diarrhea and sometimes bleeding. 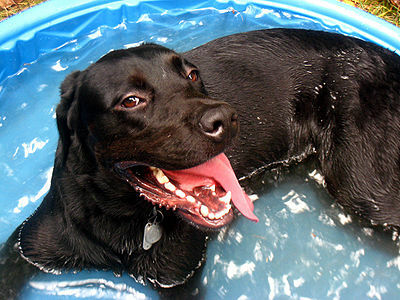 Use cool or tepid water (not really cold) to cool the dog down. 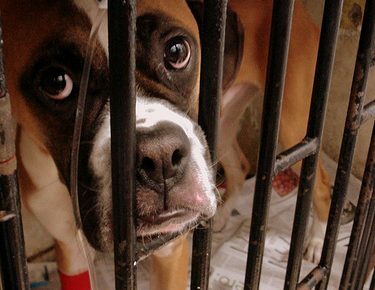 Never use ice water or ice cubes if a dog is suffering with heatstroke. They can cause the blood vessels to constrict and have dire consequences. Apply cool, wet towels to the back of the neck, armpits, belly and the groin. Rubbing alcohol on a cloth can also be used to rub down and cool the dog. A fan can also be helpful. Never immerse your dog in cold water which can cause the dog to go into shock. If your dog will drink (don’t force your dog to drink) try a drink that contains electrolytes such as Gatorade, but plain water will do. If your dog is in shock, rub corn syrup or honey on his/her gums. 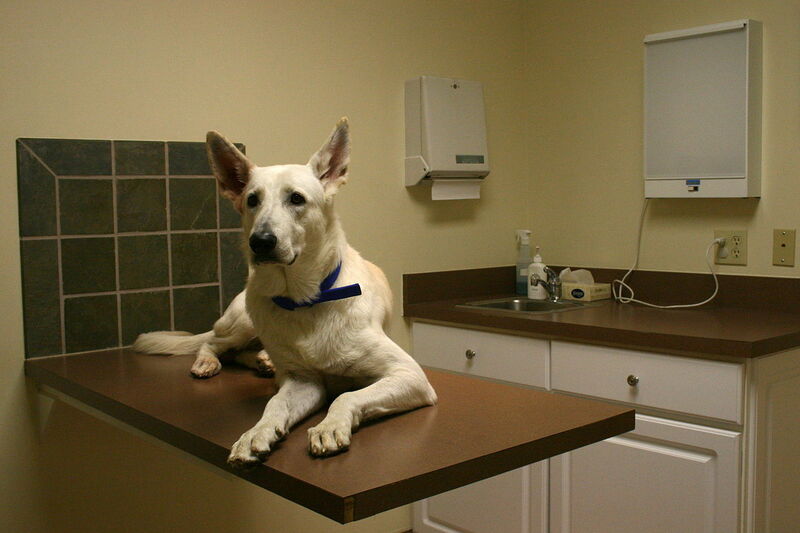 Then proceed as quickly as possible to the vet to have your dog examined. Even though s/he may seem fine, damage to the internal organs may have occurred. Brachycephalic dogs, that is dogs with pushed in faces such as pugs, Boston terriers, boxers, bulldogs, are at high risk for heatstroke. Note: If you wet your dog down with a hose, check the water in the hose first. Hoses that have been lying in the sun can produce very hot water, causing burns to your dog’s skin. Never use the water full force.